Here at COLOR FOODS, we process, package and trade dried fruit, soft fruit and nuts. We source bulk fruit and nuts from the world over. Then, depending on the product, we grill, salt, coat, rehydrate or cook it. We’re one of France’s top three dried fruit and nut specialists. Our products are sold in the fruit and veg section of France’s leading supermarkets and mass retailers under the SUN and LA FAVORITE brands. We love dried fruit and nuts because they’re natural, delicious and so very varied. In fact, there are so many different varieties, it’s a real source of inspiration! Each and every day, we bring you our dried fruit and nuts with a smile. So share the adventure and come and learn more about our world! After the Second World War, many companies set up business in the port of Marseille, sorting, packaging and distributing bulk dates shipped in from the opposite side of the Mediterranean. 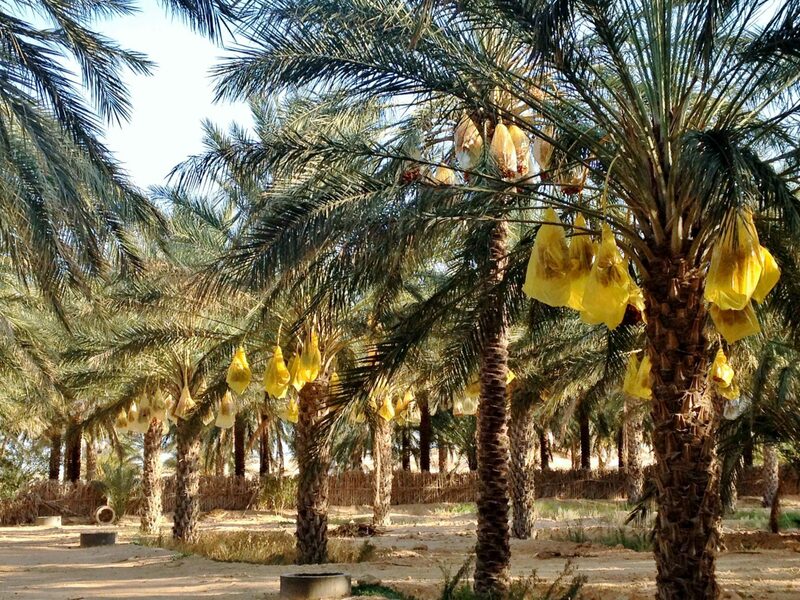 COLOR – an acronym of Compagnie des Oasis de L’Oued Rhir – was founded by the Dewavrin family in Marseille to sell dates produced at its oases in Algeria. The family-run firm operated between September and December – the date harvest period – and closed its doors for the rest of the year. In 1986, date specialist COLOR decided to expand its business to include all dried fruit and nuts. The SUN brand was born. Its dried fruit, nuts and dates were distributed by two long-standing customers – Pomona and Auchan. In 1996, VGB bought a 65% stake in COLOR. The new owner had four shareholders – the Vergez brothers (Emmanuel and Franck) and the Chehboub brothers. The company moved to a new factory in the Saumaty business park in Marseille, not far from the industrial port. It was during this period that COLOR launched a new brand – LA FAVORITE, specialising in exotic products (mainly dates) and founded by Emmanuel Vergez. In 2000, André Dewavrin retired and VGB bought all remaining shares in the company, which began working with supermarkets and mass retailers. Towards the end of 2010, the Vergez brothers bought out 100% of the company’s shares from VGB and Emmanuel became Chairman and CEO. The new owners invested heavily in the business in effort to modernise its production facilities. COLOR continues to grow to this day, employing around 65 permanent employees plus a further 30 or so temporary staff during the peak Ramadan and Christmas periods. At COLOR FOODS, our people are what make our business tick. So treating them right is extremely important to us. We want our company to be a happy place to work, each and every day, where our employees can give their best and grow. That’s why we place such importance on respect, community and communication in everything we do. Our people are proud to work for us and really believe in our SUN and LA FAVORITE brands. The success of our brands stands testament to the success of the people who work hard, day in, day out, to bring you the very best products. When we talk about our products, we recognise the hard work and effort that our people put in. It gives us great pride to see our SUN and LA FAVORITE products on supermarket shelves – and in your home! We treat our suppliers as partners, because a healthy business relationship helps to build trust and ensures we receive only the very best raw materials. We invest regularly in our business to improve our production processes, to innovate, and to ease the workload on our staff. We help our customers improve their offering and we harness our knowledge and expertise to produce own-brand products. We never stop innovating, adding ever more value and making sure our products reflect what consumers want. We work hard to shrink our environmental footprint by sorting our waste and doing our bit to promote recycling (printing information on our packaging and using eco-friendly packaging). All our people have received training on sorting waste and limiting the amount of non-recyclable waste they produce. Whenever we develop a new product, we always keep the amount of packaging to a minimum. We don’t believe in outsourcing. We have a highly skilled workforce right in here in France. We know our people well, and we trust their unique knowledge and expertise. That’s why we are committed to bringing you top-quality products, in a way that’s good for local agriculture and manufacturing. And above all, our brands reflect our commitment to bringing our customers the very best products. Our commitment to quality starts when we source raw materials that meet our rigorous standards, from all four corners of the globe. Our buyers visit our suppliers on a regular basis, so that we stay in control of our procurement process and develop purposeful partnerships with the businesses that supply to us. All batches of raw materials arriving at our processing facility in Marseille undergo strict checks to make sure that they comply with the law and our specifications. In addition to these checks, some raw materials undergo a taste test, by our internal panel, to make sure they taste just right. Our processing facility in Marseille was awarded International Food Standard (IFS) High Level certification in 2013, meaning that we meet the required quality and food safety standards. We work hard throughout the year to make sure we comply with these standards and implement good hygiene practices, through self-checks and internal process audits. We take just as much care of our people as we do our products. We have documented risk prevention plans and we do everything we can to improve working conditions for our operators.